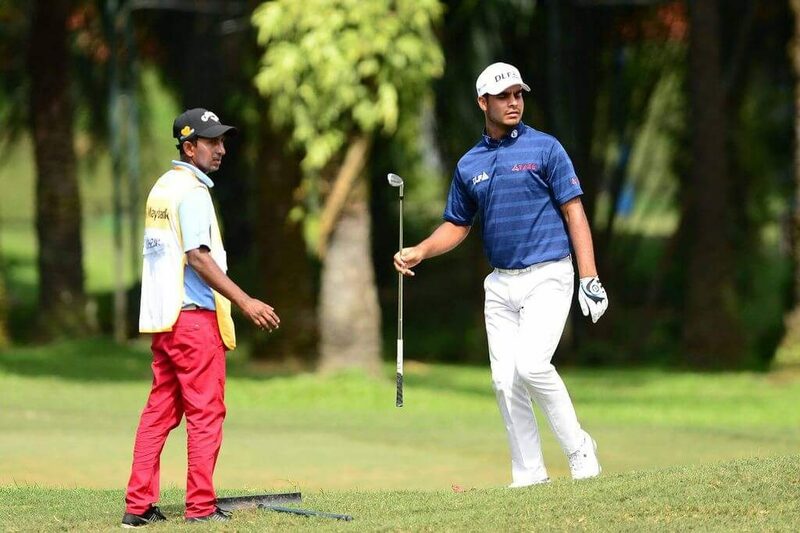 Shubhankar Sharma fired 10 birdies in his final round to clinch the title with two shots over the third round co-leader Jorge Campillo at Maybank Championship on the Saujana Golf and Country Club, Shah Alam, Malaysia. Sharma joined by Gaganjeet Bhullar entered the final round at four-shot back from the co-leaders Frittelli and Campello at 11-under 205 for a T-19th finish on Saturday with his six-under 66 for the day. Sharma posted rounds of 70, 69, and 66 in his previous three rounds and upped his game with a flawless 62 consisting 10 birdies and taking his total to 21-under 267. Sharma shot five birdies each on the front and the back nine, four of them came back to back from the 4th to 7th holes and finished his round with adding two more consecutive birdies on 17th and 18th. Shubhankar retired to the club early after making 16 of 18 greens in regulation and had to wait for other players to finish their rounds for the final results and which became quite clear when Campillo fell short by two shots for his maiden win. This is Shubhankar’s second European Tour win in just four starts, his last win came at the Joburg Open which he aided with another win at the McLeod Russel Tournament on the PGTI Tour. Campillo finished the event for the second position on the board at 19-under 269 after co-leading the field with Frittelli on Saturday. Jorge Campillo opened his final round with an eagle on the very first hole, a similar score which he posted in third round and remained bogey-free till the 8th hole before posting a bogey on 9th just before the turn, he posted late birdies on the 17th and the 18th holes for a final round 68, just to reach closer to Sharma but still far from a win. Dylan Frittelli the co-leader from Saturday dropped to a T-5th finish with his final round one-under 71 consisting four birdies and three bogeys. He is joined by the second round co-leader Nino Bertasio, Ryo Ishikawa, Hideto Tanihara, and Khalin Joshi. Joshi stood T-3rd in his third round and was looking for a maiden win on the Tour, but fell short with his final round of 2-under 70 taking his total to 16-under 272, five short of the winner. Pablo Larrazabal and Ryan Fox both finished T-11th on Saturday and managed to climb up for a T-3rd finish with their matching rounds of six-under 66 for the day, taking their totals to 18-under 270. The opening round leader Paisley finished the event for a T-27th on the board with Andrew Johnston, Gaganjeet Bhullar, Kiradech Aphibarnrat, Juvic Pagunsan, Yusaku Miyazato, and Prayad Marksaeng at 11-under 277.